Audition Schedule is on our Registration Page. 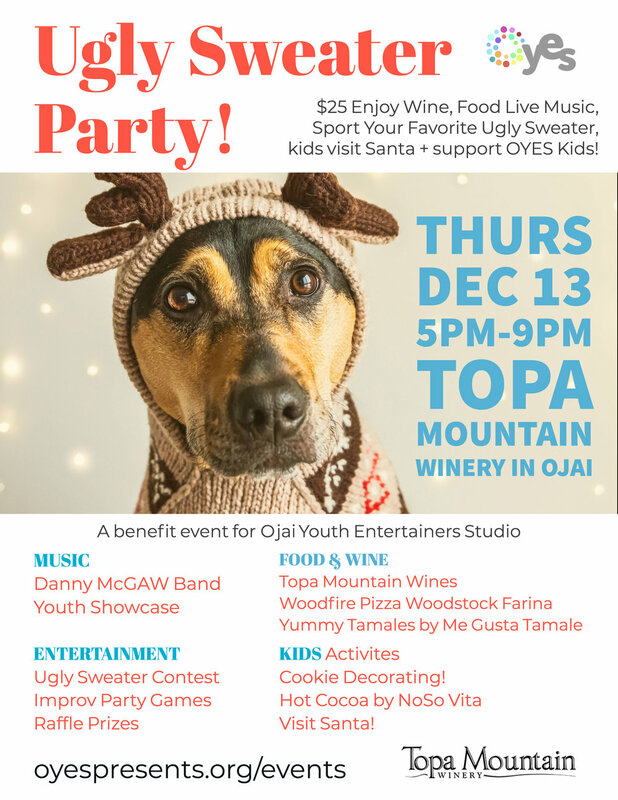 Wear Your Best Holiday Jumper and Join Us for Our First Annual Ugly Sweater Party and Benefit Event at Topa Mountain Winery in Ojai! Children ~ Hot cocoa by NoSo Vita, cookie decorating, visit with Santa! IS THE SHOW FOR KIDS? Youth Chorus is about to start! Join us for our Fall session, culminating in youth and adult performances with Ojai Community Chorus in December. We're excited to announce our Fall program, Peter Pan, Jr! 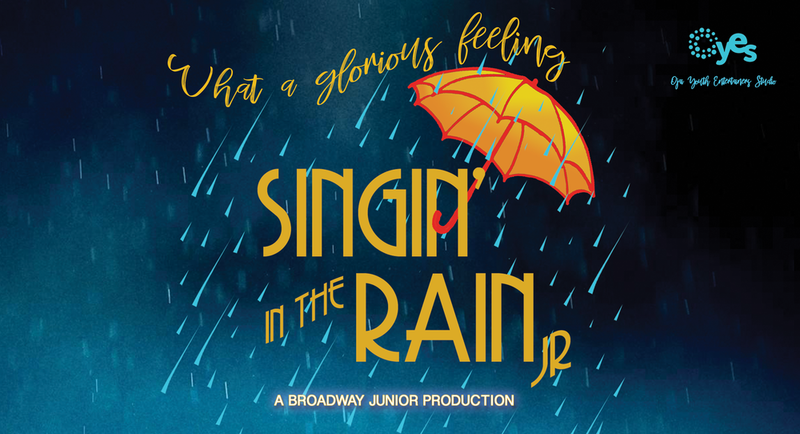 Glee Showcase performances featuring everyone's favorite pop, rock, and musical theatre tunes! 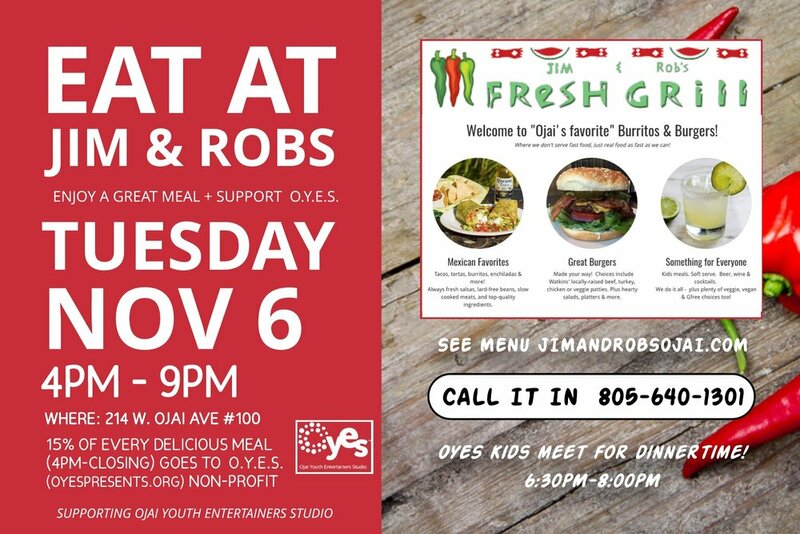 Eat at Jim and Robs Fresh Grill 15% for OYES! 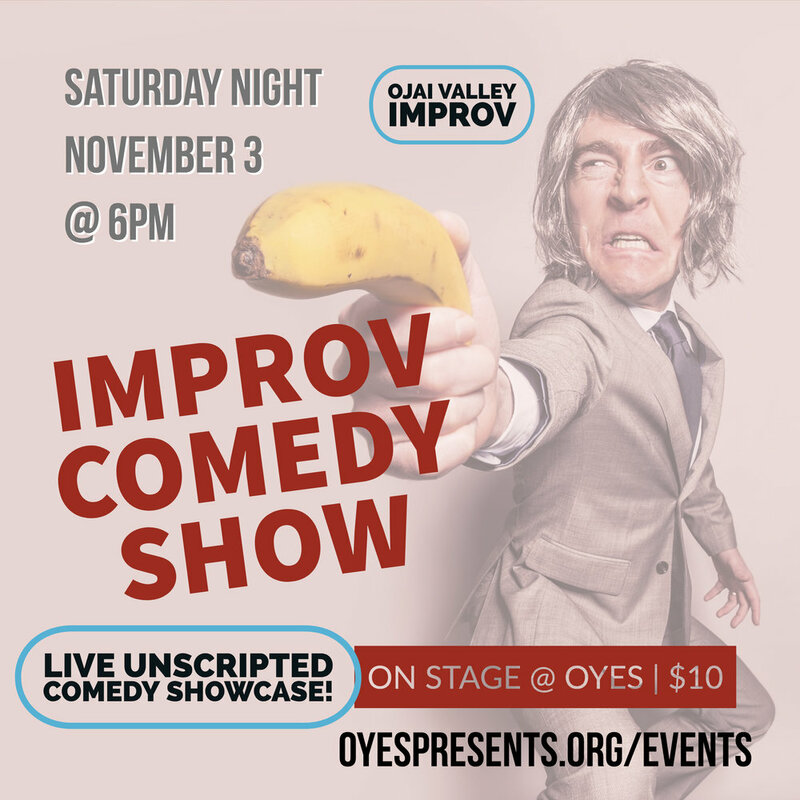 15% of every delicious order goes to support local youth theatre organization ojai Youth Entertainers Studio.